Chef Patrick Harris launched Boka in 2010, becoming RVA’s original gourmet food truck. Boka means Mouf. That’s where you put the tako. Chef Patrick Harris worked his way through the trenches of several acclaimed restaurants in Washington D.C., acting as executive chef at the Cowboy Café, Ulah Bistro and Oya before moving to Richmond to open the Water Grill as chef for the Richmond Restaurant Group in 2009. After opening the restaurant, a rare opportunity came around to buy a fully equipped food truck, right when food trucks were gaining national attention for culinary relevance. In 2010, Chef Harris founded The Boka Company, becoming RVA’s original gourmet food truck. Harris brought the food truck community together with Boka on April 6, 2012, coordinating Richmond’s first food truck courts. They debuted at the Virginia Historical Society, fittingly making history here in Richmond as Virginia’s first Food Truck gathering for the general public. Shortly thereafter, Boka helped to found food truck courts across Richmond. The gatherings have become a mainstay of RVA’s dining-out culture, like Thursday evenings at Hardywood Craft Brewery, and Food Truck Rodeos, which have seen attendance of more than 15,000. Food, beer and wine converge with awesome musical artists in a partnership with the Central Virginia Museum of Radio Entertainment. 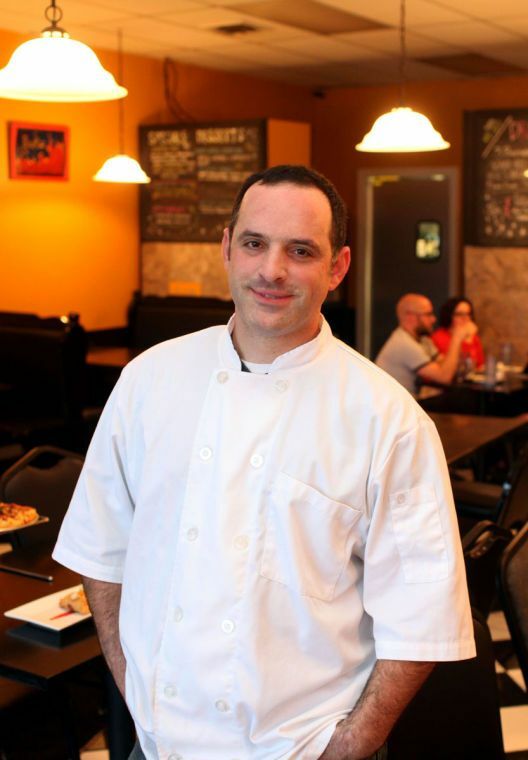 In 2014, Chef Harris helped found the Richmond Food Truck Association and has been involved with the Food Trucks in catering, special events and vending capacities all over Richmond. Boka has been awarded best Food Truck in Richmond, Best Food Truck in Central Virginia, Best Tacos in Richmond, Best tacos in Virginia, Best meal under $10, and Best New Casual Restaurant among its top accolades from a wide assortment of local publications, from Style Weekly to Richmond Times-Dispatch, Richmond.com, Richmond Magazine and Virginia Living Magazine. Boka Takos aren't your average compilation of marinated meat and melted cheese folded in a limp tortilla. The Boka Tako is an exquisite fusion of global flavors, for your Mouf! Seasonal ingredients, Asian inspiration and a Mexican platform were the basis for the original Boka Tacos. Even though Boka has expanded its culinary horizons far beyond the original restraints of corn tortillas, you will still find a comical and fun play on ingredients from near and far. The Goal is simple: Great food. Served up with a twist. Takos with k, because these aren’t your ordinary tacos. Twisted Takos. For Your MouF! Boka! Now you know.